The cooling trend is ramping up across Northern California today, but so is fire danger. Cooler temperatures are on the way to Northern California, but higher fire danger is also in store for your Tuesday afternoon and Wednesday. 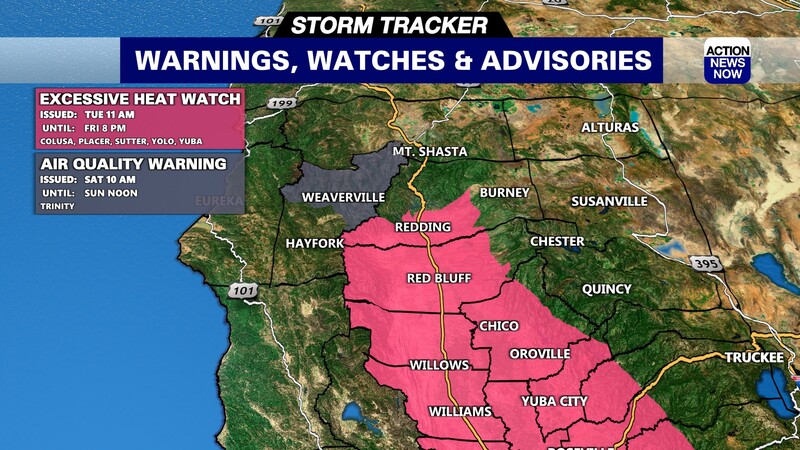 Gusty winds, and low humidity will combine to result in critical fire danger in portions of Northern California, and that has prompted the National Weather Service to issue a Red Flag Warning for higher elevations of the Sierra, Cascades, portions of Shasta County, and areas of the Coastal Range from 1pm this afternoon through 11pm Wednesday night. Humidity will likely dip into the 10 to 25 percent range this afternoon, and winds could gust to upwards of 40mph out of the Southwest across the Sierra. Areas of Shasta County and the Coastal Range will have gusty winds out of the Northwest, but they are not expected to be as strong as what's on tap for the Sierra. Shasta County will likely have sustained winds to 10mph, with gusts to 25mph out of the Northwest. Aside from the elevated fire danger, today looks like a pretty nice day. 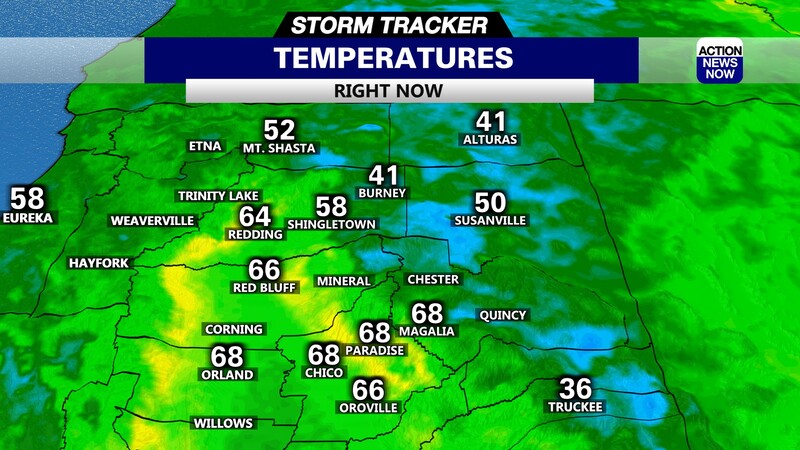 Temperatures are staring out in the 50's to 60's in the valley this morning, and in the 40's in most mountain areas. 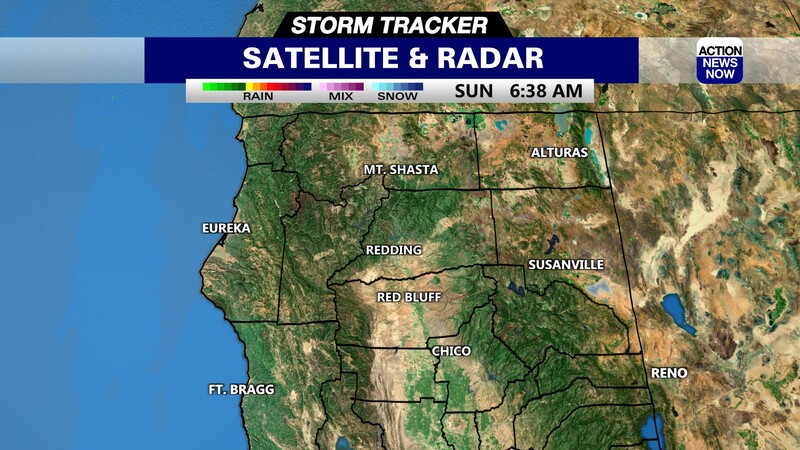 Skies are mostly clear, but haze from the active wildfires will still be an issue today. Air quality will range from moderate to unhealthy for your Tuesday, but is expected to improve over the next couple of days. Widespread winds will mostly be out of the Northwest to 10mph today, and humidity will dip into the 10 to 25 percent range. High temperatures are projected to top out in the low 90's in the valley, with 70's to low 80's in the mountains this afternoon. The Red Flag Warning will continue for your Wednesday, but so will the cooling trend. Valley areas are projected to start out in the mid to high 50's, and end up in the low to mid 80's. There will also be a chance for light showers in the far Northern zones of the state on Wednesday afternoon. Temperatures will get slightly cooler towards the end of the week, with low 80's expected across the valley on Thursday and Friday. There is a slight bump in temperatures expected this weekend, but the current forecast is showing temperatures staying below 90 degrees through Sunday. Slightly warmer weather looks likely for the start of next week, but we should stay at or below average for this time of year through your extended forecast.